Let's start planning your perfect ALOHA day! 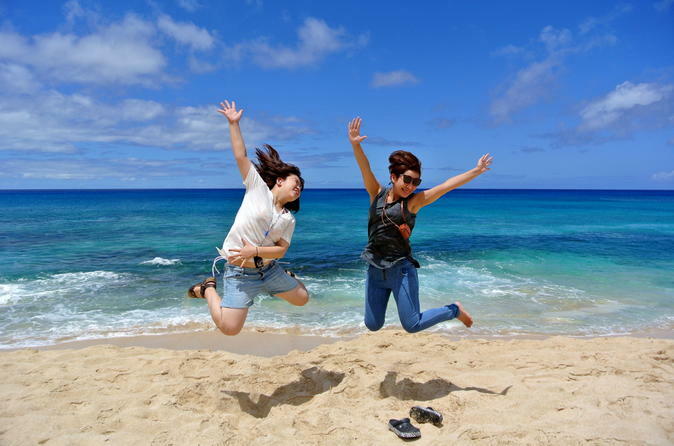 Just tell us what you want to see and do on your vacation in Hawaii. The experienced guides will custom make your plan for you. You will not talk with "one of the customer representatives." You will talk with the actual tour guide to make your plan. Oahu top sightseeing tour, guided snorkeling ( extra fee option, May to September) and photography tour. Your guides are professional underwater/nature/surf photographers and experienced snorkeling guides. Our guides are all nature and Ocean lovers, who has real passion and ALOHA to show you this paradise!! This price includes a photo package which is all of the photos taken on the tour. A family friendly tour. Visit the places where tour buses don't go, take the private circle Island tour, discover hidden Oahu hiking tour. Would you like to look for Hawaiian green sea turtles in water? Would you like to see sleeping turtles on the beaches? The opportunities are endless. There are so many things to do on Oahu. If you enjoy taking pictures, let your guide take you to Oahu’s most beautiful locations for photography. Because we are professional photographers, the guides know the best places on the island to get the perfect shot. They will share their photography skills and knowledge with you. You receive a photo package. We give away all photos we take on the tour! Why don't you try exploring the Hawaiian water? Our guides are water specialists. They can take you to one of the best snorkeling sites. We cater to beginners through experienced snorkelers. First-time snorkeler? Don't worry, we have professional snorkel instructors/guides. Once you make your booking, we will contact you to start discussing what you would like to do or see on your local customized tour.